You might see this message when posting in manufacturing execution, but where do we start looking? Well often it is due to some issue with number sequences on the journals, but I don’t know why this happens. What I normally do is try to figure out what type of journal it is trying to post and renew or change the journals voucher series (Number sequence). 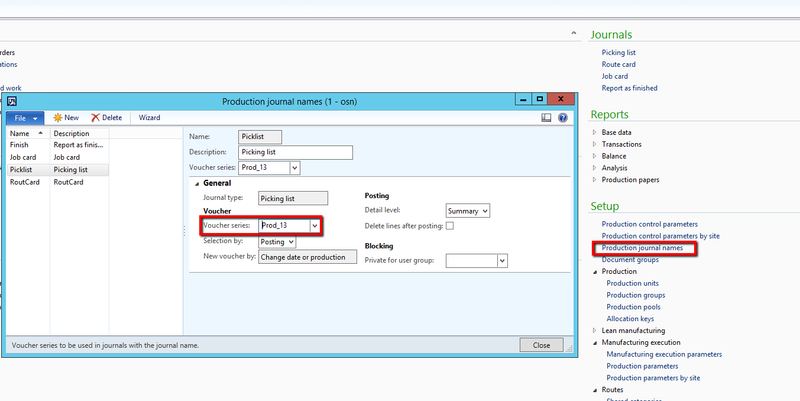 Go to Production Control > Setup > Production Journal Names and you’ll find the number sequence referred to there. Good luck and if you’re looking for more on Time and Attendance or Manufacturing Execution. Check out my Time and Attendance guide.